Are you planning a holiday to the Andaman Islands? Wondering about the most famous tourist attraction- kala pani or the so called hell on the earth? It is none other than the Cellular Jail. In this article I have described the Cellular Jail, which is a National Memorial today: its past and the present. 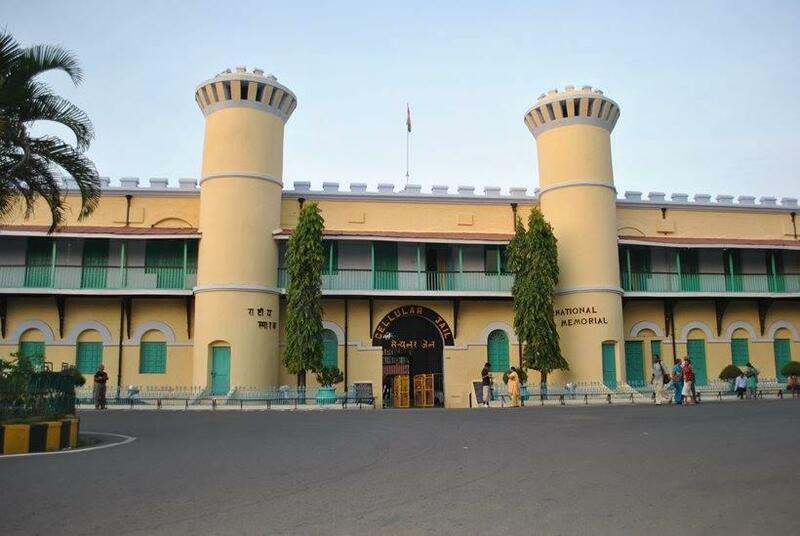 I am sure you will get a fair idea about the Jail, one of the most feared part of the nation pre independence and why it is so important to visit the same. A brief about the Andaman Islands you can read the articles at the end of this section. The Cellular Jail is located right in the town of Port Blair. During the British regime, the Cellular Jail also called as KalaPani (The Death Waters) was a colonial prison specially meant for exiling the revolutionaries of freedom struggle. Today it stands as a tribute to these warriors who opposed and suffered the tyranny and laid down their lives for the country. This shrine is preserved by the Government and is a must see historical attraction in Port Blair. You may wonder what is the best season to visit the Islands and walk down the freedom struggle memories in the Cellular Jail? So the best months are between October and April when the climate is pleasant. During the other months you may find it a little unbearable because of the heat and humidity. The Cellular Jail is open for a tour between 9 am to 12.30 pm and post lunch between 1.30 pm to 4.45 except on National holidays. If may need a cap/ hat in case you visit during the noon. The tickets are reasonably priced at 30 INR while charges for still and video camera are 200 INR and 1000 INR respectively. Andaman Islands had been used by the British after the sepoy mutiny of 1857 led by Mangal Pandey. The revolution was suppressed and many revolutionaries were executed. 200 rebels were sentenced for life and off loaded on to the Andaman Islands under the supervision of the jailor David Barry and Major James Walker. 733 more rebels from Karachi were also subsequently sentenced terms on the islands. Later more and more prisoners were sent from India and Burma. Soon Ross Island became the Island Police Headquarters. The islands were quite isolated from the mainlands and were considered to be ideally suited for penalising the revolutionaries. In the 1850s it used to take several months to reach the islands by large boats. The overseas journey was treated as loss of caste, and social exclusion which was supposed to create a huge negative impact on the concerned persons in those days. Many people never survived the journey because of the pathetic conditions in which they had to travel. Once the rebels reached the islands, their days of terror did not reduce. They were chained in groups and forced into construction which was aimed to colonise the islands for the British. Many fell sick, starved, and fell to their deaths from the callous attitude of the jail staff. As the uprising against the British picked up momentum, the number of rebels sentenced to kaal pani was on the rise. Soon the British felt the need for constructing a highly secure prison. In 1890 the British government constituted a two member committee of C J Lyall, Bengal civil Service surgeon and Major Lethbridge to prepare a detailed report of the operations of the penal settlement of Port Blair. The report described how the penal system has contributed positively to the improvement of the prisoners who were transferred to this settlement. The report mentioned that the existing conditions in the islands were not satisfactory for capital punishment as it aimed for. The observations included that restrictions imposed on prisoners were not as severe as those in Indian prisons. Hence the Commission recommended a much harder life for the prisoners at least when they are brought in. They further advised solitary confinement for the first six months on the islands which would instil a high degree of discipline which was not common in Port Blair. And this is how the idea of setting up the cellular Jail. In 1896 the construction was initiated and it took ten full years to complete the puce coloured brick building. Did you know that the construction of the jail was carried out by the prisoners themselves? The bricks used to build the jail building were brought from Burma, called as Myanmar in the early 1890s. The architecture was based on Jeremy Bentham's idea of Panopticon, where is circular prison is built around a central scrutiny station or tower. The prison was built in the form of a seven spoke wheel, with the wings radiating out from the tower like the spokes of a bicycle wheel. The tower was at the intersection of all spokes and was utilised by the guards to keep a close watch on the inmates. The tower has a large bell which was a loud and useful alarm when needed. At the end of each spoke near the watch tower, the wing is sealed by an iron grill door. Hence only a single guard could easily supervise all the seven wings of the prison. Additionally there were two other watch towers on the grounds. Six hundred and sixty three cells are located along the spokes on three floors specifically designed for solitary confinement of prisoners. The cells were 4.5x2.7 m in size with unreachable ventilators, at a height of 3 m from the ground level. The cells from adjacent wings are all facing only in one direction, so no way prisoners could communicate with each other. The cells were ideally suited for solitary confinement. A few wings have been damaged but all those which stand today speak of the tyranny and hardships which the prisoners have suffered in solitary confinement or have been sent to the gallows and never set foot on the Indian mainland soil. Did you know that the jail was earthquake resistant? It was one of the strongest constructions of colonial India. If you stand on the tower and look around towards the sea you will find this place to ideal for exclusion and isolation from the people on the mainland. Targets were set beyond the physical capabilities of the prisoners like producing daily quota of coconut oil or ten pounds of mustard oil. Severe punishment was inflicted if the quota was not met. Desolated and bleak life in the cells was filled with clank of chains, curses and abuses for the wardens did not stop the prisoners from continuing their struggle for survival. The Light and Sound Show depicts this struggle. Here is brief list of the freedom fighters. The jail was filled / overflowing with prisoners of the freedom struggle, those who spoke and stood up against the British rule. This breed of political and revolutionary fighters filled the Jail air with chants of national anthem and national songs. If you step onto the soil of the jail or walk into a cell, you feel a distinct sense of calm and wonder how the freedom fighters would have lived in solitary confinement for years/ decades? Did you know the charismatic revolutionaries who spent their sentences in the Cellular jail? Those involved in famous revolutions against the British like the Alipore bomb case, Nasik conspiracy, Chittagoan Armoury raid case, Lahore conspiracy case, Gaya conspiracy, Inter provincial conspiracy etc. These include: Savarkar brothers-Babarao and Vinayak Damodar, Ladha Ram, Barindra Sen, Bhai Permanand, Hotilal Verma, Prithvi Singh Azad, Babu Ram Hari, Ullaskar Dutta, Indu Bhushan Roy, Gurumukh Singh, Pulin Das, Trailokyanath Chakravarthy and Jatish Chandra Pal. The Savarkar brothers were sentenced in the same jail but became aware of this fact only after two years. A few others who were also sentenced to kala pani included Diwan Singh Kalepani, Maulana ahmadullah, Movli Abdul Rahim Sadiqpuri, Maulvi Liaquat Ali, Batukeshwar Dutt, Yogendra Shukl, Sohan Singh, Vaman Rao Joshi, Nand Gopal and so many more. We as citizens of Free India must respect and acknowledge their contribution to the freedom struggle. Two wings were demolished after independence. But the freedom fighters – prisoners and political leaders who had served sentence here, protested against the demolition. They felt that this was a method of erasing the evidences of the tyranny inflicted on the rebels. Considering the request further demolition of the three remaining wings was stalled. A 500 bedded Govind Ballabh Pant Hospital was constructed on the premises with the objective of serving the local populace. Post independence many freedom fighters who had been sentenced to the Cellular Jail, visited the islands. 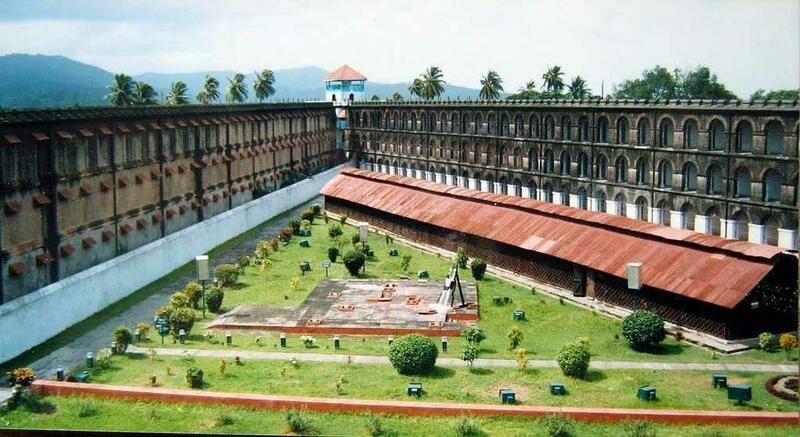 One of the associations called as the Ex Andaman Political Prisoners Fraternity Circle wrote to the Government of India to preserve the Cellular jail as a National Monument. The Government accepted the proposal as it is and thus the memorial was dedicated to the nation in 1979 by the presiding Prime Minister. In 2006 when the prison completed a centenary, the prisoners were felicitated by the Government of India. The Cellular Jail is a must tourist attraction in Port Blair. It takes about one-three hours to comfortably see the jail. The tickets are reasonably priced and here is what you can see during the visit. Enter the main block of the Memorial and you will step into the several museums and galleries which will remind you of the freedom struggle. On the ground floor you can visit the Freedom Fighters Photo and Exhibition Gallery and on the first floor the Art Gallery, Netaji Gallery and a Library on the Freedom Movement. On the grounds you will come across a gallery of the First War of Independence and Old photographs Gallery depicting the history of the penal settlement. Next you can walk around the Jail grounds, the central tower, the cells in a spoke formation can be easily visualised from the top of the central tower and Veer Savarkar's cell. Lastly do not forget to watch the Swantrya Jyot, the Eternal Flame which has been set up near the Cellular Jail in memory of the freedom fighters and the martyrs. If you have some free time at hand you can check out the souvenir shop and buy what interests you. The handicrafts are exquisite and worth buying. This show is held in two languages: English and Hindi on a daily basis. You need to purchase a separate ticket for the show, which is priced at 50 INR per adult. The show uses light and sound effects and brings alive the saga of the heroic independence struggle right in front of your eyes. The beauty of the show is the way it is narrated by the weeping and saddened souls of two trees who discuss the lives of the sentenced revolutionaries of the freedom struggle. I still get goosebumps from the memories of the freedom struggle and the tyranny of the inhabitants narrated in this light and sound show which I have watched on two trips to the islands. The Jail also houses the following facilities: the sitting arrangement, Restrooms and a Small canteen. All the basic amenities for the tour to the Jail are satisfactory. In a nutshell: The Cellular Jail is a great reminder of the strong hardships and torture borne by the freedom fighters to win back our country's lost freedom. After reading this article you will definitely feel like visiting the National Memorial- Cellular Jail in the Andaman Islands and understand why this place is aptly called the Hello on Earth.